Do you go above and beyond to help your customers navigate the complexities of property insurance and the claims process? Are you able to ask the right questions to the right people to secure the right information? Ready to take the next step in your career path within a welcoming environment that can offer opportunities to grow and develop? If you are interested in furthering your career in the insurance industry, we’d like you to join our customer-focused SGI CANADA team to work as a permanent, full-time Property Adjuster at our Ontario Regional Claims Centre in Etobicoke. This opportunity will build on your adjusting experience, allowing room to grow and adjudicate moderately complex claims files. You will have the opportunity to negotiate and settle claims files from start to finish, focused on ensuring claims are investigated and settled with a caring and consistent approach for all of our customers. We recognize that everyone brings something new and exciting to the role, and that could be you! Candidates must bring the education and experience to succeed in this unique opportunity — after all, we’re counting on you. We are looking for candidates who have at least 3 completed CIP courses and at least 3 years’ experience in a technical insurance role. Alternative combinations of relevant education and experience may also be considered. Because when you start here, you want to stay here. The Alberta/Ontario/Manitoba division is rapidly growing, but we maintain a size that can offer a “family” atmosphere for our employees and opportunities to grow and advance. With careers as diverse as our employees, join our caring culture of employee empowerment within a great community of people. If this is the career opportunity you’ve been waiting for, tell us why you’re the right fit for this role. 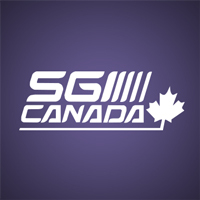 Learn more about the job and what your future could look like at SGI CANADA by visiting www.sgicanada.ca. Submit your application to job #10730 online at www.sgi.sk.ca/careers by 11:59 p.m. on: Wednesday, April 3, 2019.